In 1996, The "MORIHIKO" opened at the quietness residential area in Maruyama, Sappo-ro.The beginning it from 4 years before, I was constructed a Japanese tea-ceremony room "Getsuan". I felt every day "Ichigo Ichie" (Which means one of expression of feeling like you should take care of every moment when you meet everyone. It may not come again. It is kind of Japanese sprits.) by hospitality from the room.And I really want to try to start business when I felt "Ichigo Ichie" from tea ceremony where I fond a one of a building, there is present Main store now. 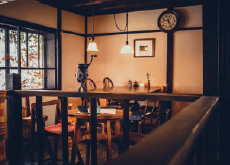 The founding of our company passed 20 years now, our shop is became to where it's hoped that a coffee lover and cafe lover would like to visit it sometime.Our coffee roastery was from Japanese tea-ceremony room, It can be said that Japan is wide, and it may be unique. I believe that it's also because I have come without forgetting the starting point, that it could grow to here. We know how much meant the tradition but I like to avant-garde very much. When I was young I was more inspire from Senno Rikyu, his Japanese tea-ceremony room "Souan-chashitsu" was very avant-garde in those days. That's why I constructed the Japanese tea-cer-emony room. 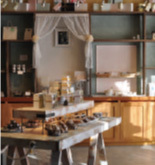 The coffee shop "ATELIER MORIHIKO" on train streets, the concept an "art museum of coffee". 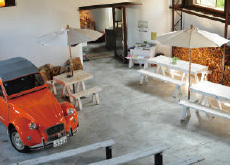 On crossed Toyohira River, "PLANTATION" is cafe restaurant and coffee roast factory in a big warehouse. And "MARIE PIERRE" shop is effected esprit in Apartmant, France. "MORIHICO." started from old-style Japanese house had change again and again, like a butterfly. It isn't change own self after happened, I want to be a change…May be I think. Otherwise, the style has taken an attitude method of renovation. The changing of conscious to organic business or environment cyclic type company by the tradition and innovate. Anyway "MORIHICO." have a biggest interest Sprit, not only sprit. "1% for the Planet" is alliance of the enter-prise which understands necessity of natural environmental protection, and the enter-prise which participates in this alliance understands "Loss also relates directly to health of global environment with the profit on business. ", and enterprise worry about the influence environment and socially. Activity of a devoting environmental protection group is being supported with to donate 1% of the annual sales. "MORIHIKO" who appears with the amber image landscape. "ATELIER MORIHIKO" is Artist and creators likes the place for consideration. When We were opened Marché, into which a visitor as much as one thousand people is received on a day at "PLANTATION". It looks is various, but We are the height of the hospitality in storewide. Before one knows, Our shop has come tourist from the various town all Japan and the foreign country.And now, "MORIHICO." became to sells original coffee to the entire country after that, I repay the earth for it. I join " 1% for the planet" and an utilizing 1% of the sales for environment protection by the shape as the donation. This organization is the outdoor brand of the United States and NPO Patagonian owners established in 2001 and is the one which will be promoting environment activity of an enterprise and be working on an environmental problem by the world scale. Ichikawa says that he wanted to carry on business in the thing which "falls in a mind" about a match to the environment of our company. "I have awareness of danger and love to nature, it was same as the one by which one turned the eyes to Hokkaido from Tokyo. 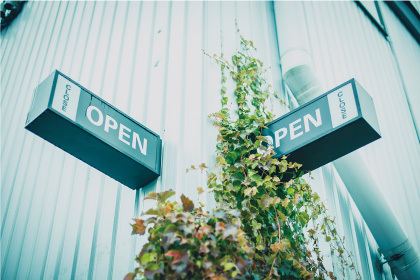 Growth of an enterprise leads to urbanization by the meaning to have that, but the social balance have to keep needed to maintain for 100 times of the nature. When I was thinking so what can I do after that I wanted to take a small action to the environment." In 2016. 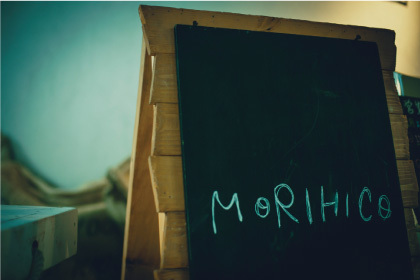 "MORIHIKO" became 20 years now, We aims to No.1 coffee roaster of Hokkaido. Progress of business isn't supposed to be a respon-sibility to the environment and an exchange."MORIHICO." grew up but to be a cool, forever. On September 18, 2016, "MORIHICO." 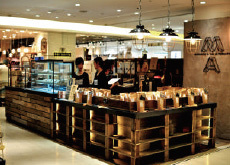 has opened the first Book & Cafe shop at Kiyota-ku, Sapporo. 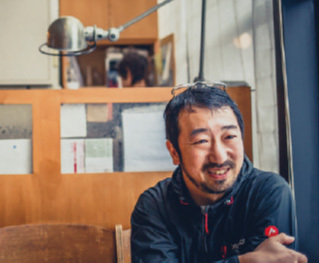 At the commercial space of 1000 tsubo, "TSUTAYA" has a book, CDs, stationery and miscellaneous goods etc., "Maruyama gelato" to be particular about ingredients to make a good gelato for enjoy it, "felieeds" is popular Scones & Bread store in Sapporo, smartphone shop " Tone", "@cosme store "has opened in Hokkaido at first landing. It is a pure white building located on a quiet residential area in the suburbs, passing the Sapporo Dome on the Route 36. If you step inside the shop, you will be deprived of the scent of coffee. We used wood, rebar and pure white tile to build. On the counters are lined with the latest coffee machines and hand drippers. At the back are big windows and greens, wide table seats and leather sofa seats line up. Next to the room can be enjoyed even by families with children. 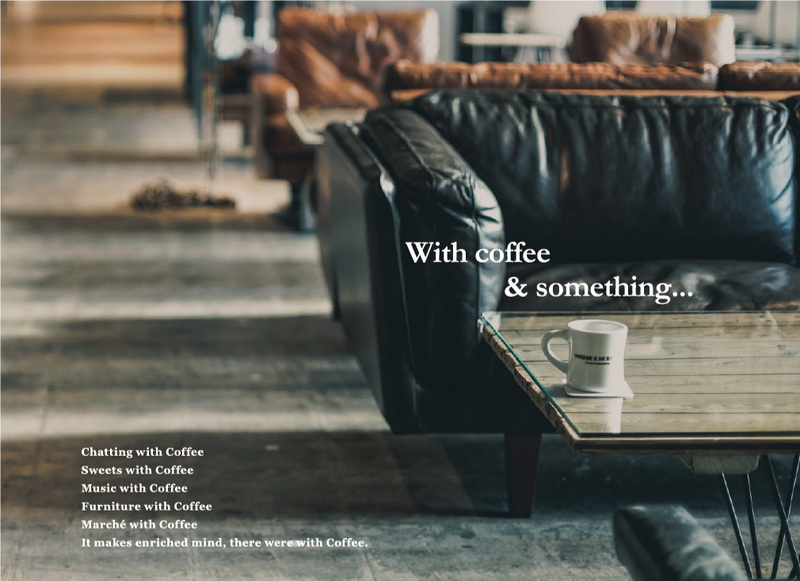 It is going to be stay longer.At Café, we have an organic coffee, latte, smoothie and more. "MORIHICO. 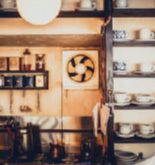 "Representative Sousuke Ichikawa said, "When I was thinking about the concept of this cafe, I thought flashed my mind that " the restoration of the technique of hand ", yes "The latest of restore of traditional coffee shop". 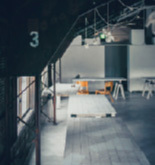 I had to a lot of meeting with architecture, designers, interior coordinator, machine and kitchen companies for thinking about an instrument (hand drip, semi-automatic machine, cold-brew coffee machine etc.) has become sophisticated system by present technology. And I thinking about which can be fit or not in the counter beautifully too.Those born through it created, one of idea is full-scale model counter of the condition of being unprecedented, fit a currently use item into the model, and I created the process of filling with precision in millimeters to them layouts. It seems that passion is steaming from the counter." Used be a coffee of craftsmen the trait of being careful of work in a coffee shop. The mind has come back this place with modern beautiful tools and instruments. The event of "MORIHICO." has a slight difference from others. 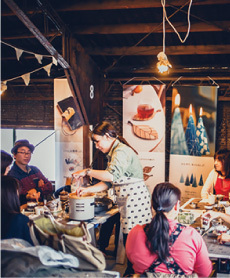 The factory site of 50 years of construction, the attic of the building has become a venue of a famous Marché in Sapporo. 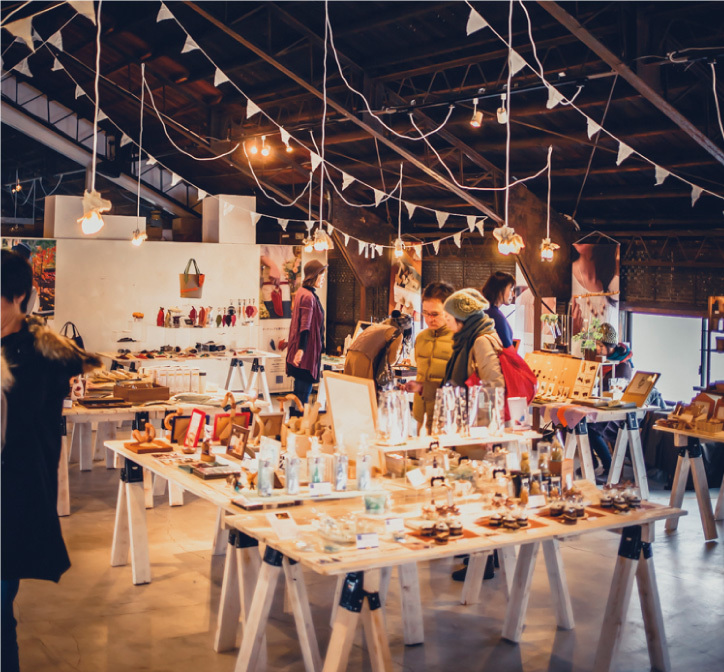 Miscellaneous goods, craft, bread, jam, vegetables, Japanese sweets, and workshops, of course our coffee are there. Attic attracted by excitement... People with high sensitivity come from Hokkaido for three days during which the Marché will be held and this will lead us to this place. 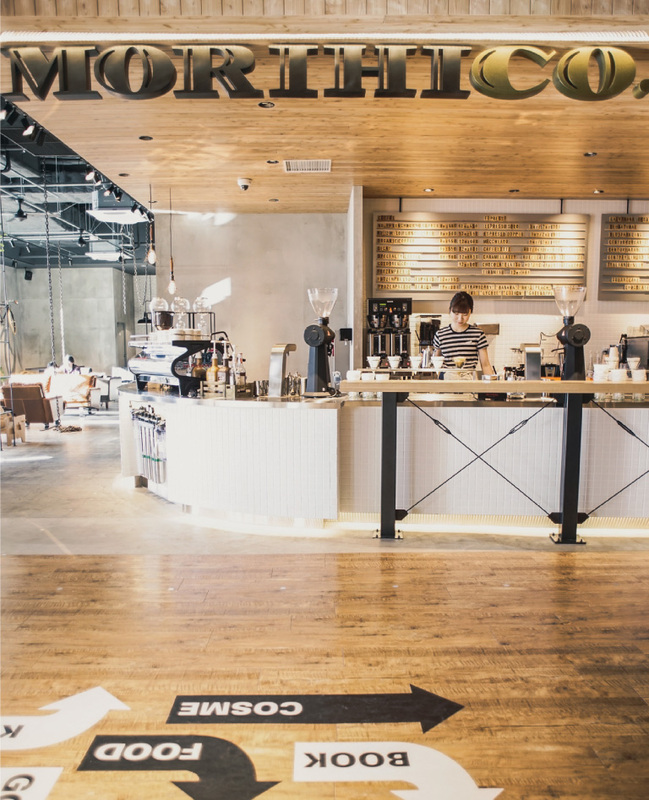 Starting from a small cafe, even after becoming a roaster, "MORIHICO." still likes cafes. 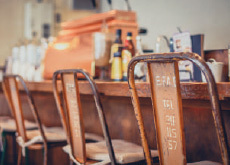 Because there is a unique atmosphere that can only be felt at the café. That we can become a coffee roaster with there is plenty of delicious coffee, hospitality and guest's smile. It is our job to make a smile by through the coffee. 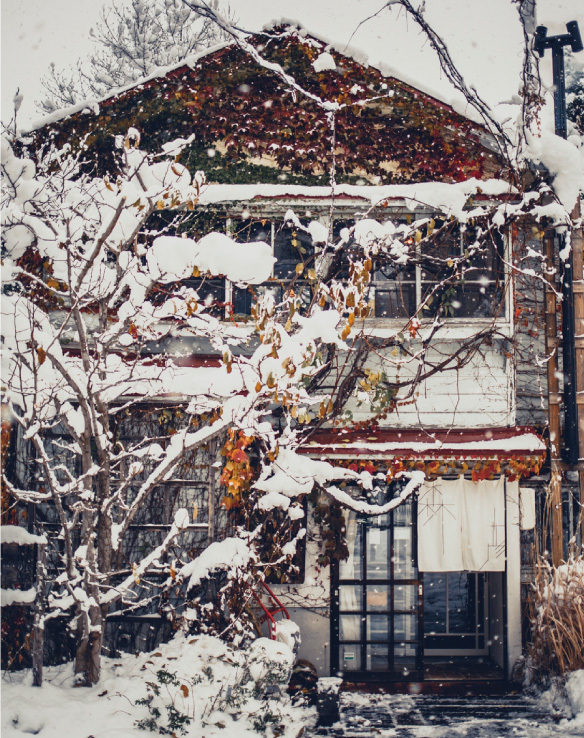 The fragrance of the coffee's quiet flow quietly from this small private house that changes from season to season. Please taste this space that is appropriate to keep raising the value of a cup of coffee. It is a museum of coffee where you can enjoy plent y of cof fee 's world while re c eiv i ng sof t sun sh i ne f rom la r ge windows facing the south. 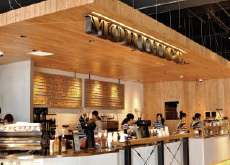 A huge coffee factory of 200 floorage, suitable for the state-of-the-art base of "MORIHICO." If you want to experience coffee & something, go to this place. Sweets have the power to make you feel happy. Artisan and artist, this two work is a glimpse of this candy at the cake. 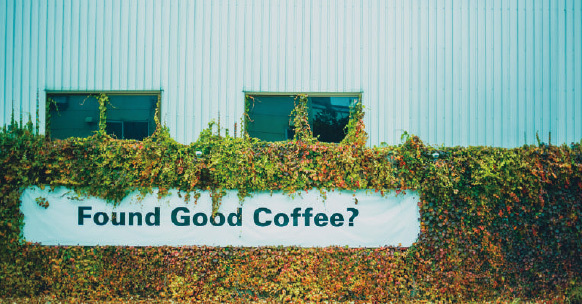 In coffee, what kind of world is Sustain-able & Ethical? The answer is in "MA". "MORIHICO." 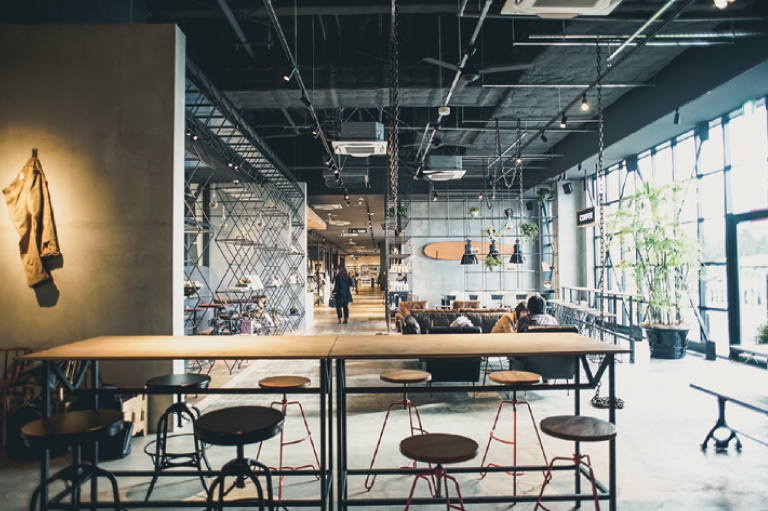 has opened at first book and a coffee shop born of respect for coffee culture at first. There is a scent of coffee in the space of 1800 floorage. "MORIHICO." selected various top quality bean for coffee freaks. We can deliver to you more quickly each day for we really wants to taste keep freshly roasted coffee bean with the strongest peak of flavor to you. 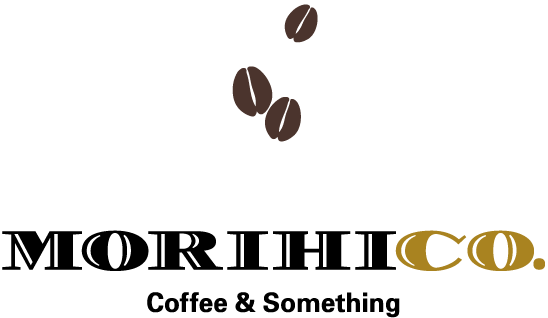 We also recommend you do use "MORIHI-CO." cafe for get you know deeply about our coffee. You can buy a flesh coffee beans of course, and if you have any question about coffee please ask to staff who is passionate about coffee. From now on, we will deliver it to you special-ly required to coffee freak throughout the country with a story of northern countries. I though it is a dark roast, "Mature, Mellow". Our dark roast feeling sweet-ness somehow. Good balanced bitter and sour. Please enjoy it again and again. "The old cof fee that was medium roasted was delicious, is it?" I make it while remembering such words. When I drink Mocha, I always remem-ber looks like it was when I found a looking for important thing. The real things is in existence nobody knows. It’ s taste coffee for any coffee lover. I am conscious of the difficult words of everyone,If you are a Japanese, this scent should be "captivate"
Speaking of northern coffee, It’s a coffee of "MORIHICO.". There are coffee that can taste because it is Northern country. "MORIHICO." 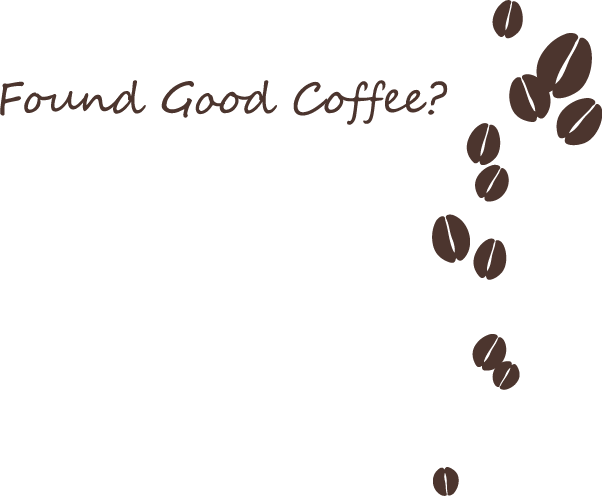 offers a variety of coffees to many people for enjoy a coffee. "Elegance" in Italian. 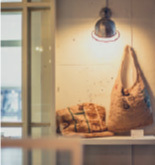 The theme of a long-established bar espresso in the street corner and alley of Milan. "Passion" in Italian. Please coffee aroma spreading sweetness that has been caramelize. Sweetness of coffee that feels enough in black. Such a roast is the true ride of "MORIHICO." Light Roasted scent, dark roasting of richness. Two mocha with different personality complement milk. In four seasons, various sceneries are gone. Always beside our coffee. "MORIHICO." picked out the best estate in a coffee. Decaf coffee was born from the voice of the staff who had a baby. "Forest Droplets" Hokkaido famous water 100 selection certificate "Spring water of the Youtei's spur t" stick ing to goods. Only "MORIHIKO" main shop on sale. The finest coffee with spicy and high fragrant Mocha Sidamo based on Tanzania. We have a decaf coffee. Please enjoy the rich taste of Colombia. <Umihiko> Colombian base of sweet scent and rich body. <Yamahiko> Mandheling base with unique flavor. <Morihiko> Mocha base of fruity fragrance. 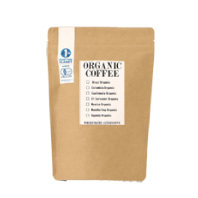 "At the same price and deliciousness, Which do you choose organic coffee or not? ". "MORIHICO." is guessing the plan about move to all sweets, foods and coffee beans made from organic. However, at the expense of deliciousness in exchange for safety.We want to action to organic when we found a cost problems, quality and taste of bean after all cleared up. "Do not use pesticides or chemical fertilizers at all, it is extremely hard work by only with the power of nature. But 100 years ago, everything should have been organic on earth. Nothing is special. Just back there. " Although it is not easy to do, but we want to do it with proud and ambition. "MORIHICO." always focus on it. A blend of Uganda base. It is a balanced fruity and soft sweetness. Mexican based blend. It is a refreshing sour and refreshing flavor. Colombian based blend. You can enjoy a solid body and body. Aftertaste like a peanuts flavors and sweet. Bright and gorgeous acidity and pleasing aftertaste. Flavors and rich, like herb. Fruity acidity and gentle sweetness. "MORIHICO." is an official support company of "1% for the Planet" and establishment a nonprofit organization by CEO of Patagonia and environmental activist Yvon Chouinard in the United States. 1% of sales will be donated to the activities aimed at protecting the environment of the earth by customers purchasing goods with "1% for the Planet" stickers on products sold by "MORIHICO.". 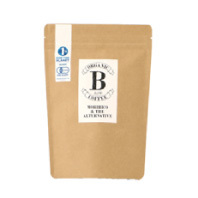 The sweets that we serve for coffee from that time are manufactured by our company. Many recipes gather inevitably. We gathered self-confident work only from that and made a specialty store of sweets. "MORIHICO." will propose the ideal sweets and esprit from this brand.Please try to refined and nostalgic taste devised by the Pastry chef. The Florentins is delivered when Queen Catherine de Medisis marries to Henry II (King of France). It is a traditional cookie with plenty of caramelized almonds. In French it means "pure white snowball." A cookie with pecan nuts reminiscent of the snow in the north with a figure worn by sugar powder. Please enjoy the honest texture. Among the simple taste, it is accent that the fragrance of vanilla that spreads a little later expands. 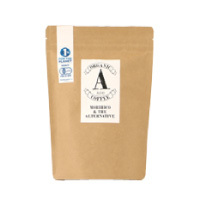 It is a cookie that you can enjoy the crisp texture of granulated sugar. It is covered with shook rouge (red sugar) and kneaded rich Earl Gray tea leaves. That is perfect for accompanying tea time in the afternoon. It is spreading the mouth full of chocolate flavor use French "Gelando salt". The saltiness improves the natural sweetness of the original cookie. 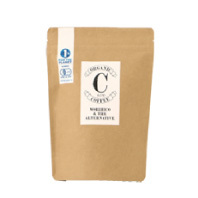 Put orange mince, it is a cookie that you can enjoy the refreshing aroma and texture of orange. 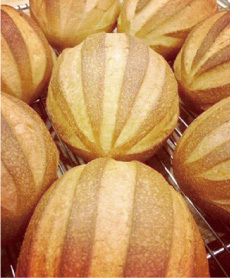 We added whole grain flour and finished with high nutritional value such as vitamin and calcium. The tasty pound cake full of raisins and mixed fruits. It is a chocolate pound cake of moist and thick with hazelnut. This cake made by rich Orange Peel. If you eat a bite, it is a gem that can having fun with tea and etc. The smell of green tea, moderately stubborn and sweetness of butter cake melt I the mouth. The cake is made from ingredients in Japan by self-confident. 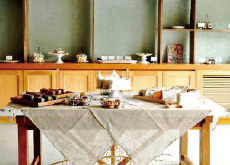 Make the tea room "Getsuan" by hand made by Sousuke Ichikawa himself. Tea ceremony "MORIHIKO" founded (26, Minami 2 jo nishi, Chuo-ku, Sapporo),Yoshikazu Ichikawa (currently the father of the representative) is the first owner. Tea ceremony "MORIHIKO" is transferred from Field Note Co., Ltd., and Sousuke Ichikawa has become the owner. In the same year, he establishment a "Natural Landscape" is own business as a designer. In the same year, he employed a pastry chef and started manufacturing confectionery. Established ATELIER MORIHIKO Co., Ltd. 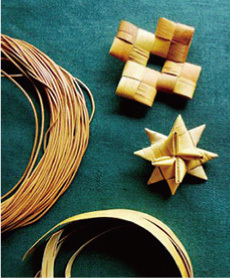 In the same year, Opened online shop " MORIHIKO MONOGATARI". Start produce to Donut brand "D×M". Coffee roasting (use a 15 kg roasting cooker) and confectionery manufacturing within D×M, temporary. 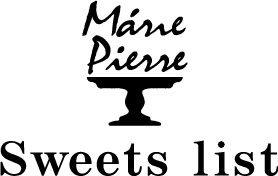 Opened the third store "PLANTATION", and confectionery workshop "MARIE PIERRE". At the same time, established a coffee roasting factory confectionery factory. Opened the first beans shop "MORIHICO & THE ALTERNATIVE" at basement 2nd floor, Sapporo PARCO. Starting first Franchise business from "MORIHICO.TSUTAYA at Utsukushigaoka store". c 2017 ATELIER MORIHICO CO.LTD. ALL RIGHT RESERVED.